One of the greatest joys of having become a painter is going through each day perceiving things with an eye toward their potential to be expressed as art. The interplay of light and shadow inspires me to paint because this dynamic can make ordinary things intriguing or dramatic and reveal beautiful things in an unexpected way. Bright light, illuminating certain areas of the painting creates excitement and emphasis and is strengthened by the juxtaposition with darker, more mysterious areas in the shadows. Portraying this yin and yang is central to all of my work, and though it encompasses a range of genres — architecture with landscape, cityscapes, interiors, and still life — light and shadow, more than specific objects in my paintings, are my true subject. I work primarily in oils because I love the vibrancy, malleability and durability of this medium. I vary my results by working on a variety of surfaces including wood and hardboard panels, linen, canvas and metals such as copper, zinc and aluminum. My process involves direct painting done in multiple sessions. I'm inspired by the looseness and freshness achieved in the first pass, but then return to find all the opportunities to develop and enhance the painting until I don't find more. 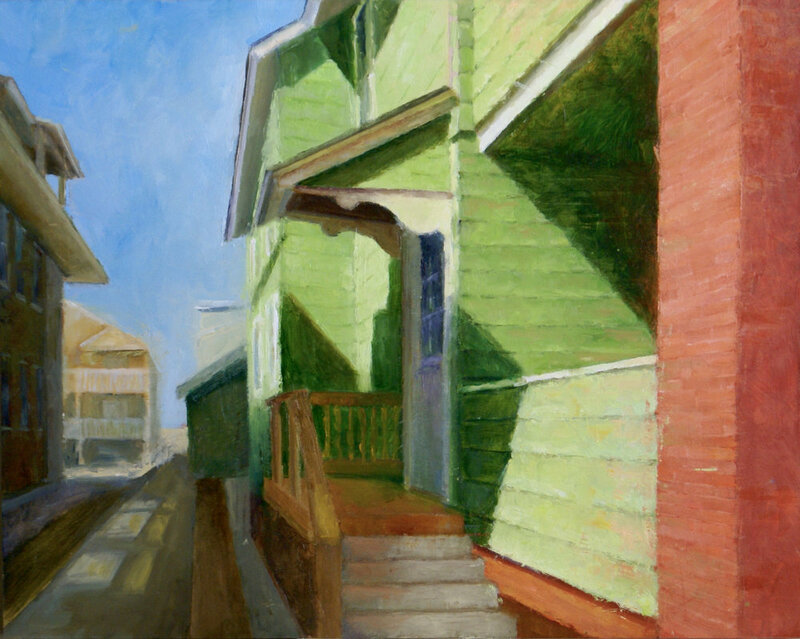 Over time I refine the depth and nuances of the shadows with transparency, strengthen the brightness of the light areas with opaques, and enhance the overall paint quality by building up the layers and textures of the surface.